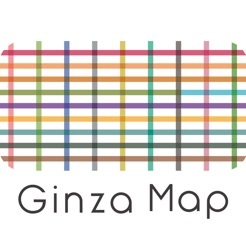 Ginza Map is the official interactive media of Ginza that communicates the city's latest information. 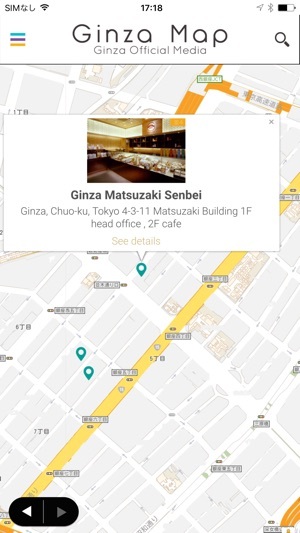 Ginza Map offers you a wide variety of information on restaurants, shopping, traditional crafts, and latest trends in Ginza to bring the city's allure closer to you. You can search for shops that meet your needs by entering any keywords you are interested in or names of shops, cuisine and products in the search field, or just by clicking the tags displayed below the search field. The pins on the map shows the locations of shops introduced in Ginza Map. By clicking on these pins, you will be able to check the opening hours, holidays, and the stories (feature articles) and events for each shop. 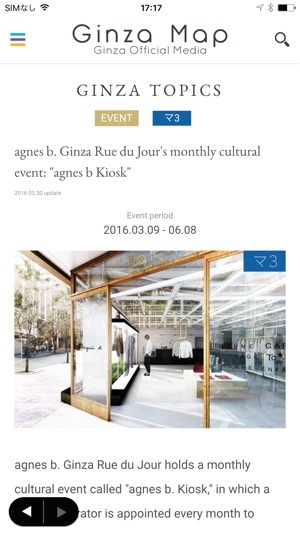 "Shops" includes a list of shops registered with Ginza Map. 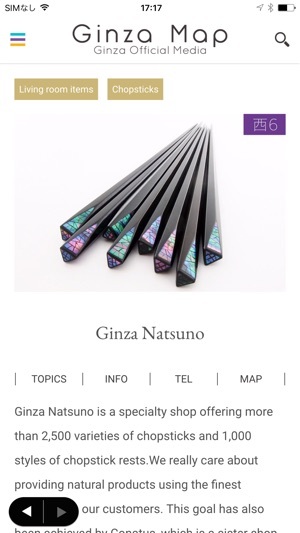 We are sure that just browsing this page would be a lot of fun for Ginza fans. You can select a shop on the list to see their details. 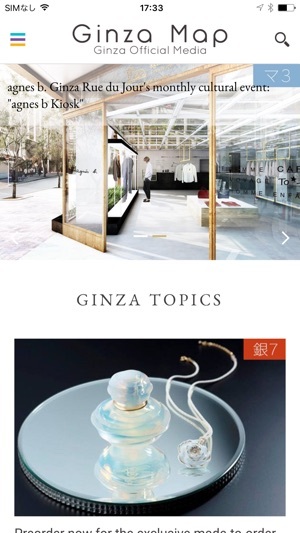 In addition, the "Stories" page includes the latest episodes and news on what's happening at shops in Ginza, while the "Events" page provides a guide on a broad array of seasonal events held within the city. 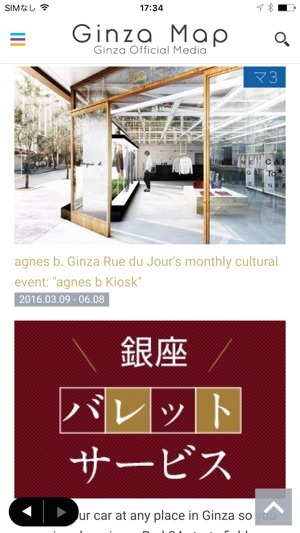 The more you read these fun-to-read articles, you will get to know more about Ginza. If you find an interesting article on the Stories or Events page, or an interesting shop on the Shops page, click on the "Interested!" button to clip it. My Page shows a summarized list of these clipped articles and shops, so it is easy to check shops that you want to visit, menu that you want to enjoy, and products that you really want. Use the "Fit in" (Fit in Passport) feature found next to the genre and map sections to find shops that perfectly meet your needs. You may login to Fit in Passport using your current email address or Facebook/Twitter account. 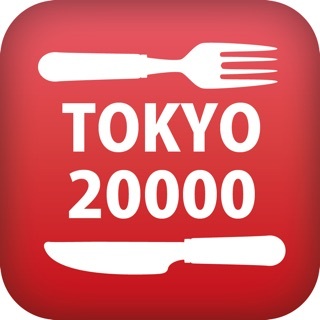 On Fit in Passport, you may select any restaurants and shops you like, as well as other themes that you are interested in. Then, a list of shops that "fits" your needs will be displayed on the "Fit in" section. "Fit in Passport" is a one-stop feature with which you can set your preferences and demands. By entering your personalized criteria, a list of shops that perfectly suits your needs will be displayed on the "Fit in" section. Fit in Passport will help you find a shop that best fits your demands.